It’s hard to wrap your head around the possibility that a loved one may have schizophrenia. 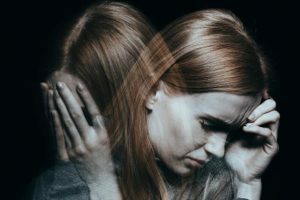 Yet each year, about 3 million people are diagnosed with this mental health disorder in the United States — typically as young adults. So it’s important to understand the risk factors and warning signs. Because schizophrenia changes the way you think, behave and relate to others, it requires lifelong treatment. Abnormal thinking and inappropriate emotions. Hallucinations, delusions and odd communication. Staying in bed to avoid people. 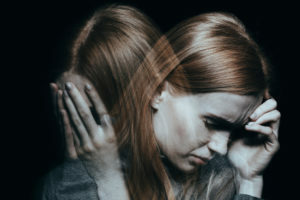 Whether their symptoms are positive or negative, “people with schizophrenia don’t seem to interact with the world in a healthy way,” says Dr. Bowers. Genetics: Having a relative with schizophrenia or one who displays schizophrenic behaviors increases risk. Life stressors: Extreme poverty; homelessness; traumatic events early in life; early isolation or deprivation (e.g., in orphanages); or a constant fight for survival (e.g., in refugee camps) heighten risk. Hallucinogens: The use of crystal meth, LSD, PCP (angel dust) or psilocybin (“magic”) mushrooms increases risk in the vulnerable. 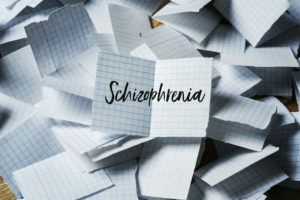 Schizophrenia is typically diagnosed after age 18, most often in a person’s 20s or early 30s. “It may be fairly well-controlled early in life, but moving from home to college — and encountering new rules, or no rules — exposes vulnerable young people to things they’re not prepared to deal with, ” says Dr. Bowers. Living with a college roommate can prove difficult. It may seem easier to avoid talking or eating with others. “You tend to isolate yourself and seem preoccupied with your own world,” she says. Increased exposure to alcohol (drinking too often, or too much) or drug use (marijuana, for example, which spikes anxiety) is also a trigger. Exposure to disturbing news events or potentially false information on the internet and social media can provoke extreme reactions in the vulnerable. It’s easy to become so distracted by thoughts that schoolwork and jobs get neglected. “If someone constantly plays video games or focuses only on personal interests, and offers an irrational explanation for avoiding studies or work, that’s a warning sign,” says Dr. Bowers. Even though your loved one isn’t functioning well, isn’t meeting their own expectations in life, and is using alcohol or drugs to cope, they may not see there’s a problem. Because of the natural urge to protect those you love, families can stay in denial, as well. 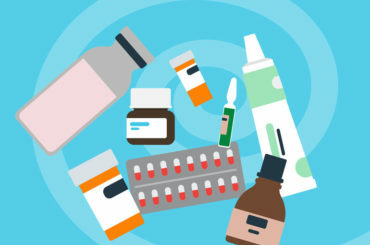 It’s often the college that sends a young adult to the hospital for the first time because of erratic behavior or an overdose. The parents get involved only because the college requests their child be evaluated by a psychiatrist. “Families often don’t seek help on their own,” says Dr. Bowers. They may continue to struggle try to understand their loved one’s symptoms. Or ignore those symptoms until they escalate, sometimes into violent behavior. But early, continuous treatment is critical, she stresses. Without help, a young adult’s problems will continue — especially if they use drugs or alcohol. A diagnosis of schizophrenia is life-changing for those affected and everyone who loves them. But, with hard work and dedication, you can help your loved one enjoy a meaningful life. “People with schizophrenia can finish college, work jobs, get married, have families and enjoy a reasonably healthy life,” stresses Dr. Bowers. The National Alliance on Mental Illness (NAMI) offers support groups for the mentally ill and their families. And organizations like Recovery International and Emotions Anonymous are excellent resources for patients, she says. Can You Get Tested for Colon Cancer at Home?